Racism … Is it at your place of work? It’s hard these days to turn on the TV, radio or even flip through your phone without encountering intense discussions related to diversity, inclusion, and race relations. Lately, it seems that the workplace is colliding with many socially and politically charged movements and these two worlds can no longer be separated. Sometimes it’s close to home. Here in Canada, two federal MPs took to Twitter to debate considering versus ignoring the different experiences and obstacles faced by people of colour, people with disabilities, immigrants, LGBTQ+, etc. The Huffington Post published a summary of the ongoing feud. 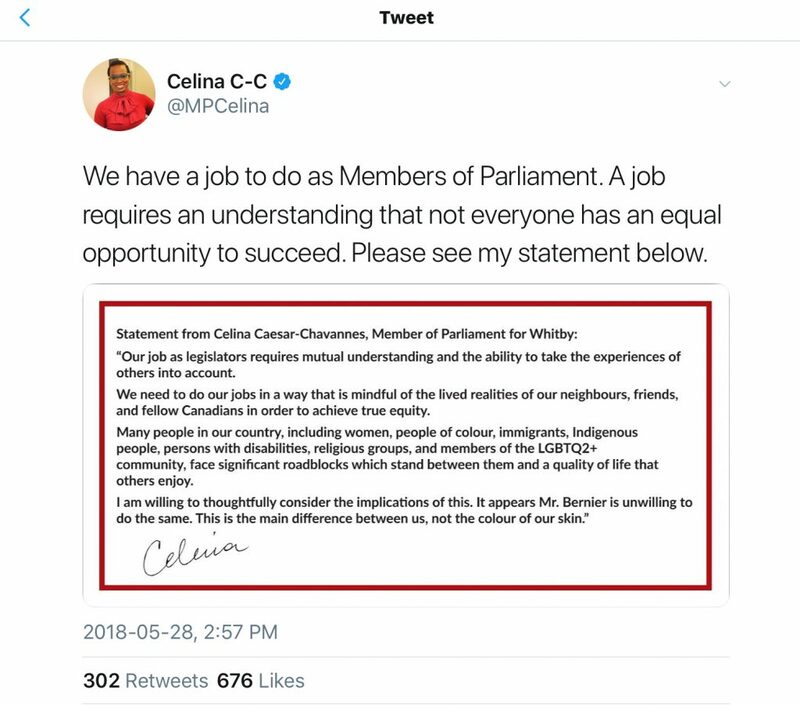 It’s important to note that MP Celina has faced a strong backlash for calling out racism. The anger and opposition that she has faced – as a woman in power – sends a sad and discouraging message for other victims of racism who are considering speaking out. Of course, we can’t help but watch and react to stories from the US. The discussions are amplified as police continue to kill young, unarmed black men, with some, even caught on video. Photo Credit: For the Win, USA Today Sports, May 28, 2018. The Black Lives Matter movement gained steam but not without controversy, as has kneeling by professional athletes during the American national anthem. The athletes’ actions have drawn intense criticism, not to mention outright cursing. Ironically, many do not know that the “take a knee” movement came from Nate Boyer of the Seattle Seahawks. 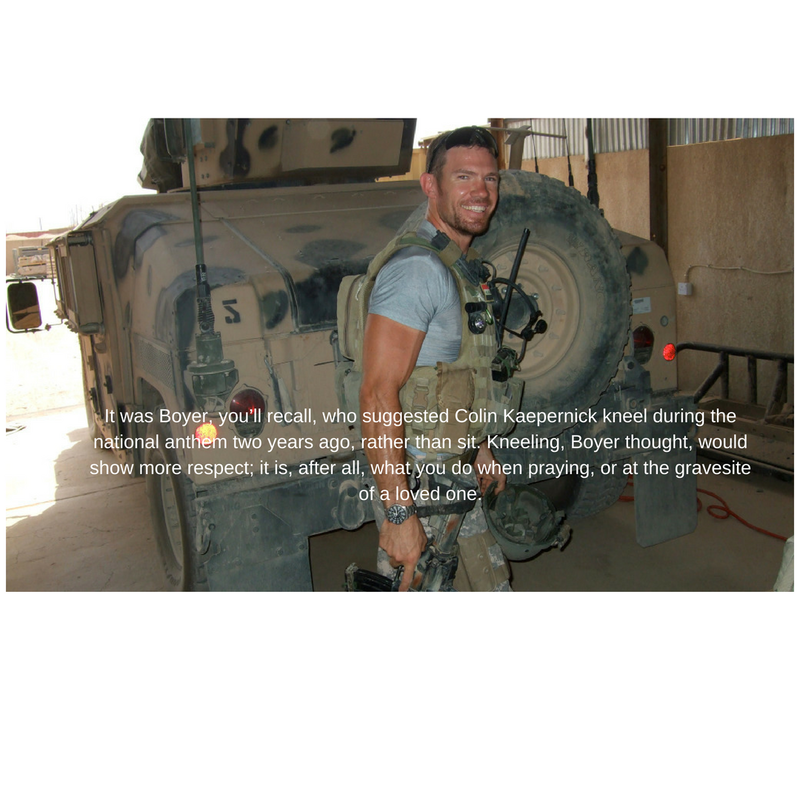 The long snapper is also a former Green Beret. 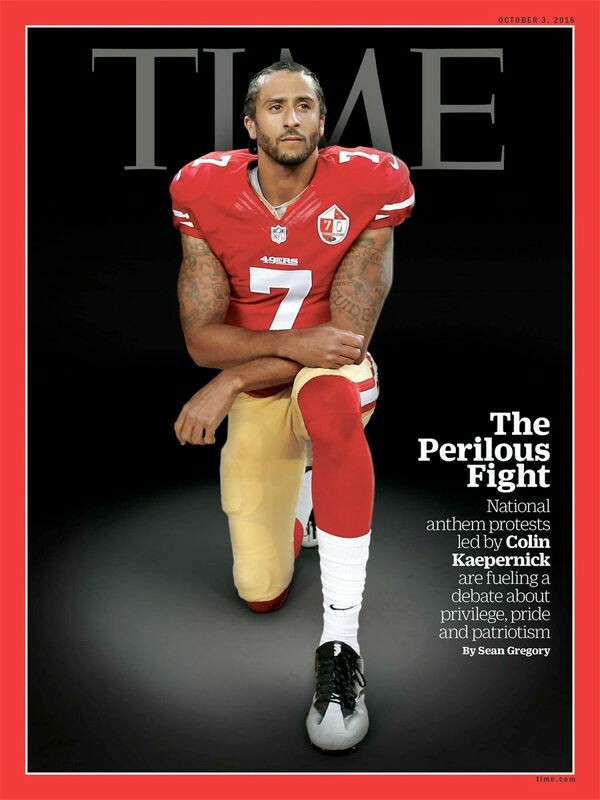 When Colin Kaepernick asked for his advice, Boyer suggested kneeling as a sign of respect and protest. These high profile, public actions certainly create a buzz. Everyone has an opinion. But what about the smaller, more private spaces in which a person of colour or other minority status navigates on a daily basis. There are whispers in the hallway or the boardroom that are less explicit and less sensational but still leave the person feeling marginalized due to their race. This came to mind as I made my morning coffee and heard yet another race-related headline being reported. In the U.S., two black men were arrested at a Starbucks, their apparent offence was having the audacity to wait at a table for an associate to arrive before purchasing their beverages. I considered Starbucks to be a progressive employer, so I was not surprised when they acted swiftly. They made a public apology and fired the person who had called the police. They also announced they would close down more than 8000 of its shops in the United States to offer racial bias training. Similar training took place in Canada on June 11, 2018. These actions show some good will even if they won’t solve the problem. This sensitivity training comes on the heels of other random and downright bizarre incidents that have recently made the news. At Yale University, police were called because a black student was asleep in a common room. In Oakland, CA, someone called the police because black people were having a BBQ in a park. By the time I finished my coffee and turned off the radio I thought about the water cooler conversations that must be happening at universities, NFL franchise locations, government offices and Starbucks shops all over North America. Obviously, the leadership in these organizations are feeling the heat. Is More Sensitivity Training the Answer? There is no easy answer. For one thing, this doesn’t begin to address employees who are not white and have been dealing with internal systemic discrimination. Through experience, I know that a quick, sanitized message encouraging employees to “get along and don’t say anything that isn’t politically correct (PC)” clearly does not work. When an organization’s stated versus practiced values don’t match, its inconsistency can create more tensions. When the issue isn’t being taken seriously, many people understand the intentional use of coded language and dog whistle expressions. To them, the issue isn’t about people needing more sensitivity, but rather not being racist (or sexist, or homophobic, or transphobic, or Islamophobic, xenophobic, etc.) … at work. ABC’s Quick Acting Leadership: Will This be the New Normal? As I began writing this blog, my phone pinged again. 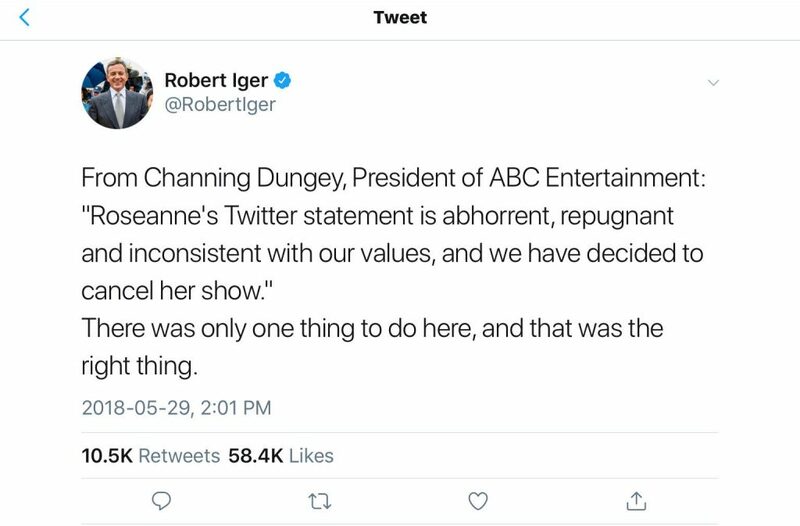 It was news of ABC’s cancellation of the reboot sitcom Roseanne. Although I’ve seen local leaders act responsibly and prevent sexual harassment and racism from thriving in their workplaces, it’s not something that I’m accustomed to seeing in high-profile organizations. That changed when it only took ABC a few hours to cancel a hit TV show that was generating millions of viewers and dollars. This looked just like we’ve witnessed in the #MeToo movement with many celebs and politicians being let go despite the financial loss. Could this be another watershed moment? To be racially insensitive is starting to mean more than a boardroom meeting and anti-bias training, now it’s been linked to pink slips. Often, I work with clients who feel uncomfortable in their place of work. This discomfort is sometimes due to underemployment or a lack of perceived opportunity within their current organization. Sometimes it’s due to something more sinister like sexual harassment or workplace bullying. As much as some people don’t want to admit this is true, these real or perceived limitations are rarely about a lack of education, experience, or skills/abilities. Often these attitudes and/or unconscious biases are tied to race, ethnicity, gender, or another characteristic that really shouldn’t have any bearing on a person’s success. The bottom line, from an HR perspective: diversity and inclusion aren’t just hot buzzwords. Given the extremely high cost of replacing a good employee, it’s worth figuring out ways to create a more inclusive organizational culture that doesn’t cause good people to flee. Take a look at this article from Quickbooks, about the high cost of employee turnover. For employees, if you feel uncomfortable in your workplace, or you’ve had a feeling for a long time that something is “off” at work, maybe I can help. I can help you decide whether its time to move on to something more suitable, for example, and on how to make a graceful exit. 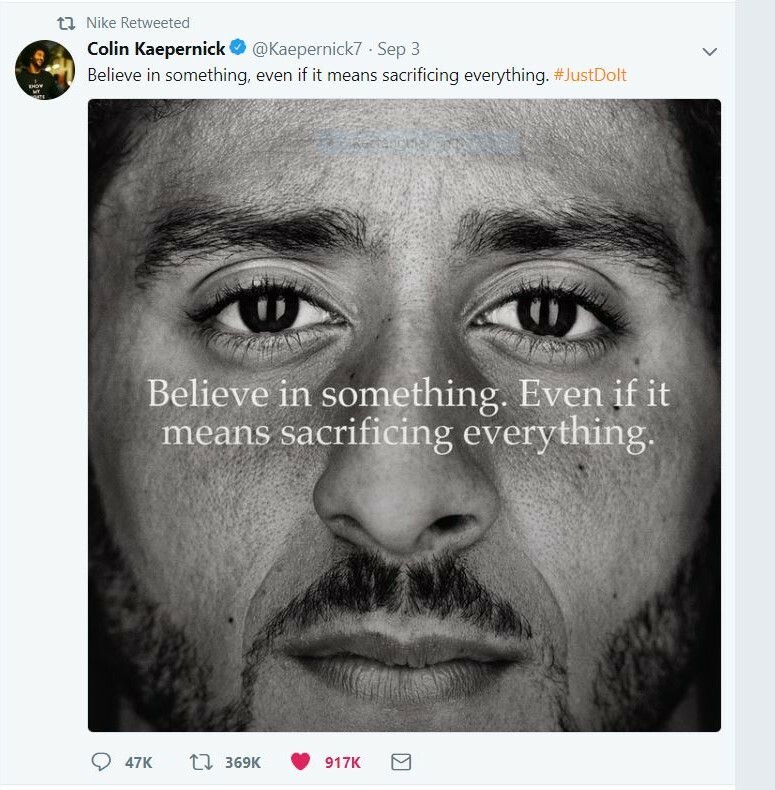 Addendum – On September 3, 2018, Colin Kaepernick announced via Twitter that he will be the face of the 30th anniversary of Nike’s #JustDoIt campaign. Have you ever wished you could get inside the head of a hiring manager? You can. Dr. Helen Ofosu is a career coach and career counsellor with a difference. She has worked for organizations to create hiring and screening tools. She’s created countless pre-screening tests, interviews, simulations, and role plays for organizations of all kinds. Do you need help navigating the world of work? Contact Dr. Helen today for a free and confidential initial consultation by phone, email, or via direct message on Twitter, Facebook, or LinkedIn.